Amnesty UK's refugee and migrant rights programme director has said the Home Office demanding DNA samples from immigrants has resulted in people "entitled to be here treated as if they're not". 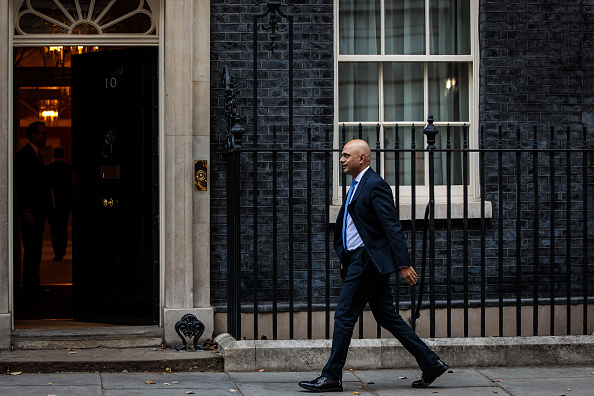 Sajid Javid was forced to apologise after Home Office officials wrongly forced immigrants to take DNA tests to prove they were entitled to settle in the UK. An internal review revealed letters were sent demanding samples in at least 449 cases. Steve Valdez-Symonds appeared on the breakfast show to discuss the story, and said "unlawful decisions" taken by the Home Office had resulted in people losing legal aid and appeal rights. "The Home Office isn't empowered to demand, it can insist, lawfully ask someone whether they're willing to provide the evidence, but to make it a stipulation rather than deal with the evidence presented is improper," he told Julia Hartley-Brewer. "People who have been subjected to these unlawful decisions have lost appeal rights, have lost legal aid, at the same time the Home Office has been given more and more encouragement, and more and more power to carry on mistreating people." The move by the Home Office to collect samples came as part of the government's hostile environment strategy. It emerged that guidance was published saying DNA evidence was needed, and that applications could be refused if samples were not provided within four weeks without a reasonable excuse. Sajid Javid said this guidance was "wrong" and that it has now been updated. "If you don't have accurate data and you pass inaccurate data about people, then inevitably people who are entitled to be here are treated as if they are not," Mr Valdez-Symonds said. "This is all about the Home Office finding ways of refusing people's applications in the most absurd, outrageous and improper ways."